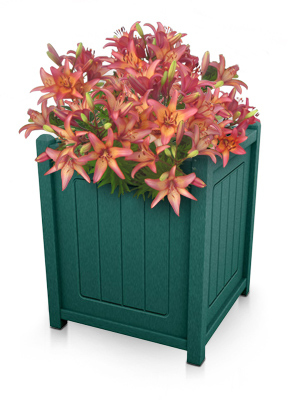 These beautiful flower planters are made of the purest recycled plastic available on the market. 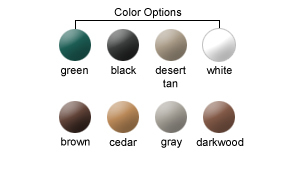 High quality colorants and UV protectors are added for the ultimate weather protection. 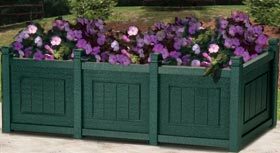 Durable and maintenance-fee, this material is resistant to stains, mildew, rotting and insects. You can sit back and relax knowing that these planters will look great for years, without the need for painting. 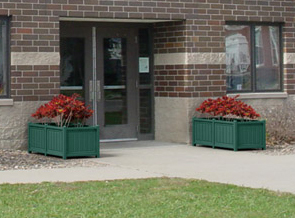 Multiple flower planter box configurations are available. Choose from single, double or triple arrangements.